Ponds can be one of the most beautiful visual aspects of a garden, so when the water turns green it can be disheartening and trying to control the problem can also become a nightmare. Whilst green water is not a problem for fish, it can be a problem for the plants in your pond. Severe algae blooms can cut down the light levels entering the water which can kill other submerged plants in your pond. Algae blooms are formed of single celled algae which thrive in water with high nutrient levels. Algae blooms are most common in newly built ponds or ponds which have recently had a large or total water change, where the chemical and nutrients in the pond have not yet balanced. Thankfully it’s not all doom and gloom; there are several ways to control algae in your pond, varying in cost and effectiveness. 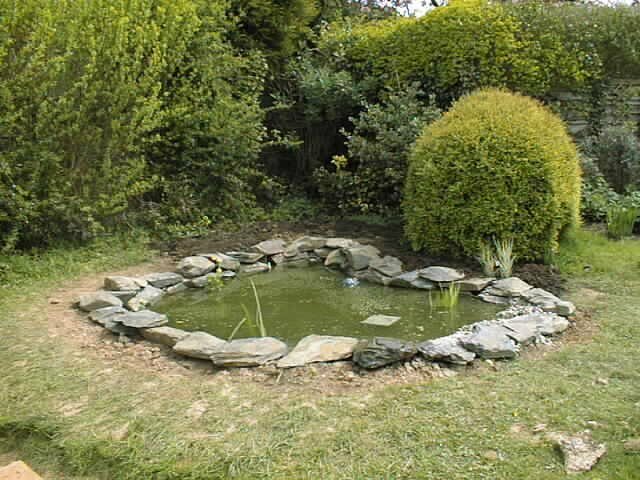 Each pond is individual and therefore a different approach may be required for each pond. Algae feed on the nutrients in your pond, which come from decaying organic matter and fish waste, so regularly removing any dead vegetation etc. can help. 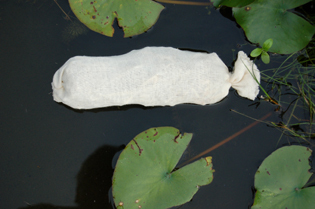 Barley straw can be added to the pond in small sacks, the amount depending on the size of your pond. Once the straw starts to break down, hydrogen peroxide is released from the straw which is proven to inhibit algae growth. However it takes time for bacteria and fungus to start to break down the straw and it can take up to 3 months before the effect is noticeable, depending on water temperature. Providing shade over your pond will cut down the amount of light entering the pond and will in turn reduce the amount of light for algae to utilise. Putting floating plants such as waterlillies in the pond and planting trees and shrubs will all help to reduce the amount of light reaching your pond, however algae blooms can still occur during the spring before the leaves have grown on the surrounding trees and shrubs and before the pond plants have had a chance to grow fully. There are a vast array of chemicals available to kill off algae in your pond. It is a quick and easy way of controlling the problem but it is a quick fix with no lasting effect. Be aware that it can also be a costly way of controlling algae, especially on larger ponds. Whilst it is an effective way of controlling algae in a new or freshly re-filled pond, it should only be used until the pond has reached a balanced state. Ultra violet clarifiers are, when correctly matched to the size of your pond, the most effective way of controlling algae. The greatest advantage of a UV clarifier, other than its effectiveness, is that it has no effect on the water and poses no danger to fish and plant life in the pond. A UV clarifier also has a relatively low running cost. As the algae passes through the UV clarifier its DNA is altered by the UV light stopping its ability to reproduce. The only real maintenance required is to remember to replace the UV bulb every year, ideally in the spring, and at the same time clean the quartz tubes the bulbs sits in.